Prince Harry has used his first speech as a Commonwealth Youth Ambassador to praise his soon-to-be wife Meghan Markle. 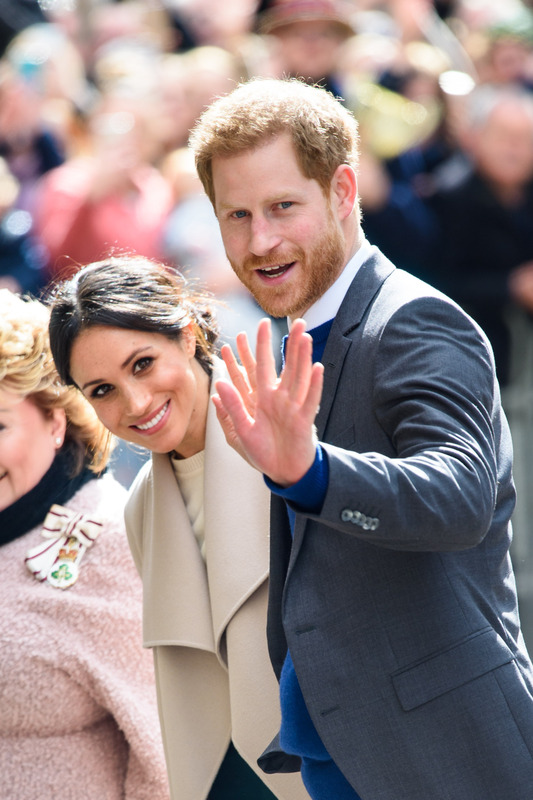 The royal gushed that "the woman I'm about to marry" was "hugely excited" to be joining him in his work for the new role - which was met by cheers from the crowd attending the Commonwealth Youth Forum today (April 16). He was joined by Theresa May at the event, just a few days after he confirmed that politicians won't be attending the royal wedding on May 19. Harry's first duties in his new role included a round table event at the opening session of the Commonwealth Youth Forum at the the Queen Elizabeth II Conference Centre in London. Although Meghan Markle was not present, she was very much at the front of his mind. In his speech, Harry said: "I am also incredibly grateful that the woman I am about to marry, Meghan, will be joining me in this work, of which she too is hugely excited to take part in. "In my new role, I will work to support The Queen, my father The Prince of Wales, and my brother William, all of whom know that young people are the answer to the challenges of today." Harry's new role will see him supporting the work and aspirations of young people across the Commonwealth. He will aim to create links between young people and youth leaders, encouraging them to use Commonwealth platforms to address the social, economic and environmental challenges of their generation.